Between 2013 and 2014, FORUM-ASIA documented 324 cases of violations and abuses against HRDs as well as new instances of restrictive legislation and policies affecting civil society in Asia. The documented violations and abuses range from intimidation, threats, physical assault, arbitrary arrest and detention, criminalisation, judicial harassment, disappearances, death threats and killings of human rights defenders and members of their family. 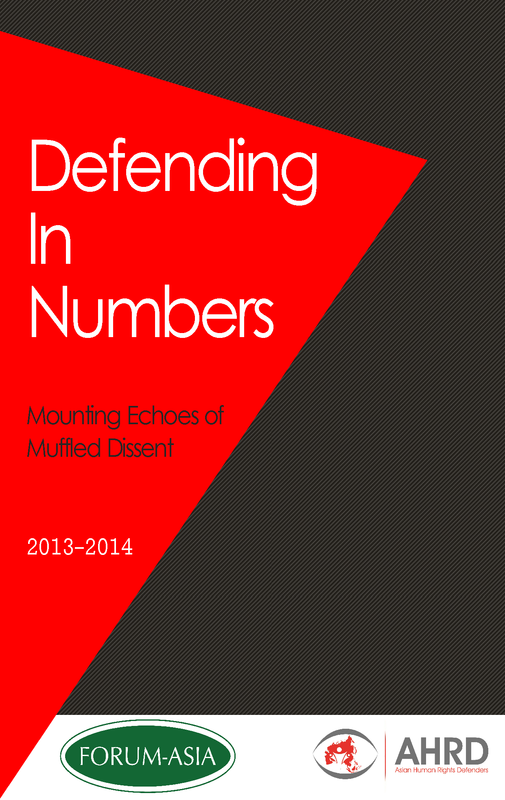 The present report shines a light on the challenging situation of human rights defenders (HRDs) in Asia. Based on FORUM-ASIA’s documentation of cases of HRDs, it aspires to identify the regional trends and patterns of violations and abuses against HRDs and to illustrate the restrictive and often dangerous environment in which many operate. HRDs in Asia continue to face numerous threats and challenges because of their work both as individuals and collectively. Threats, harassment, criminalisation, trumped-up charges, restrictive legislation and direct attacks are part of daily life for HRDs in many countries in the region. Today’s reality in Asia is that the safe space in which HRDs work is increasingly shrinking and constricting. 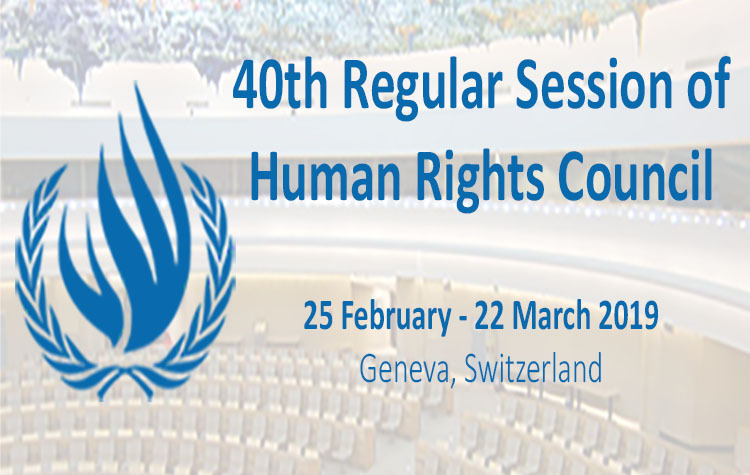 This has been demonstrated by: the continued arbitrary application and misuse of laws; use of existing repressive laws; and introduction of new legislation to criminalise legitimate activities of human rights defenders while restricting freedom of expression, peaceful assembly and association. This also includes the rights of HRDs to solicit, receive and utilise resources for the purpose of protecting human rights, as well as receiving funds from abroad. Governments in Asia have gone through great efforts to silence, restrict and discredit HRDs, especially those critical of government policies. In addition, HRDs in the region increasingly face threats from non-state actors, with authorities either being complicit or failing to take action to combat these. Faced with these challenges, FORUM-ASIA found that human rights defenders are deprived of full access to effective remedies. The judiciary in many countries lacks independence and effectiveness in providing protection for human rights defenders. Similarly, National Human Rights Institutions (NHRIs) lack independence, resources and effectiveness in fulfilling their role in promoting and protecting human rights, especially those of HRDs. Aside from national protection, or lack thereof, Asia is the only region in the world where no regional human rights protection mechanism has been established. The only established human rights mechanism at the sub-regional level – the ASEAN Intergovernmental Commission on Human Rights (AICHR) – has come under strong criticism as its members are State-appointed. Its mandate is limited to promotional activities, leaving HRDs in ASEAN without adequate protection when their governments fail to do so.